Goodreads Summary: Love can never die. 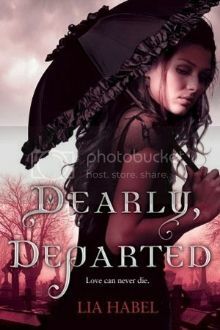 I have to admit that I wanted to read Dearly, Departed first because of the cover. I wasn't sure how I felt about zombies, but I love Victorian novels and heard good things about this book, so I decided to give it a shot. While there were some aspects of the book that I really enjoyed, there were others that left me wanting more. "'This!' I spun around before him, on a lark. 'All of this! You know...' I stopped, my skirt moving still, and leaned closer to him. 'We never would have met if you hadn't become a zombie. You're a Punk, I'm a Victorian...but here we are, united in death.'" An orphan in New Victoria, Nora Dearly is at the mercy of her last remaining relative, her aunt. Nora's father was an important scientist in New Victoria, but her aunt has spent most of the family money and plans for Nora to marry well and ensure the family's financial security. But there was more to her father's research than Nora knew - much more. Instead of enjoying her holiday break from school, Nora is kidnapped by an army. And not just any army - an undead army. Nora, thinking all zombies are alike, is overwhelmed by her new surroundings, and terrified of the zombies. But after spending time with Bram, she comes to see that Bram is different. Bram is a friend...and maybe more. However, not all zombies are good, and some are certainly out for destruction. Will Bram's army, along with Nora, be able to do anything to save Nora's home from infection and death? "As I climbed into the carriage, I once more contemplated my fate, and how the stylus would figure into it. Shoving it violently into my nose would probably be the best way to go. If I did it hard enough, I might be able to stab myself in the brain. A proper student's suicide." From the beginning, I liked Nora's character. She lived in a Victorian society, but she certainly wasn't demure or a conventional Victorian girl. For instance, she loved war holograms and her sarcasm and wit were amusing throughout the book. 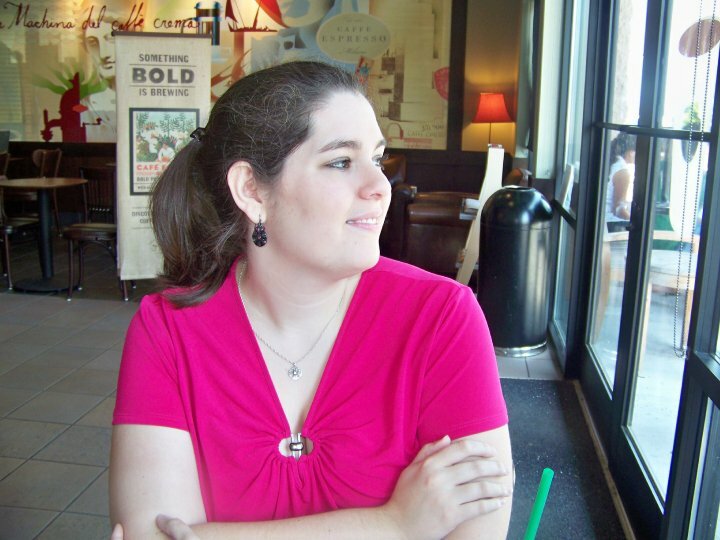 Nora had to deal with a lot of tragedy in her life, but rather than withdrawing, she let the losses make her stronger. She isn't willing to be a pushover, and that extends to her best friend, Pam. Their strong friendship was refreshing to see - not even romantic pursuits damanaged their friendship. In addition, even though it was a culture shock for Nora when she was kidnapped, and she was always distrustful of the zombies, she was eventually able to give them a chance. And Bram certainly deserved one. He had his own share of suffering, but despite being a zombie he is always such a gentleman. Even though it seemed to happen suddenly, I loved watching Nora and Bram fall for each other. And some of Bram's fellow zombies were extremely entertaining. In addition to a wide cast of characters, Dearly, Departed had more points of view than most. Five different characters share their perspective, though Nora and Bram are the main focus. While it was nice to see the complete picture of the story, occasionally it was difficult to follow the story trajectory when some characters had very few chapters from their perspective. However, in spite of this (or perhaps because of this), I felt like the middle of the book dragged. This book is on the long side, and while I loved the beginning - getting into the world and learning the characters - and while I did enjoy the romance aspect that was carried throughout and then the ending of the book, the middle lost my interest. Even still, I think the continuation of this story has definite potential. "Bram regarded me with soft eyes. He took a deep, chest-expanding breath, and when the air came out, he said, 'I'm dead, Nora.' I slowly reached up and touched his bottom lip. He didn't fight it as I traced his lips, his chin, the top half of his throat. He kissed my satin-robed wrist, over the glove's buttoned opening, and dropped my hand. In that moment, I found him fully, absolutely beautiful." Dearly, Departed is a different, unique story with a memorable voice for the characters. If you like zombie novels, Victorian romance, or steampunk books, Dearly, Departed is certainly worth reading. Awww, I love this book! I definitely agree about the number of perspectives--it just got confusing--and the middle dragging, but Nora and Bram are just too cute. :) I've read about half of the sequel, but for some reason couldn't get terribly into it.